No outdoor shoes. Is it raining? Snowing? The usual Toronto construction? Bringing a clean pair of shoes that are geared for dancing will help keep our floors safe and clean for all dancers. Thank you for cooperating! Show us your key tag please! You get a free key tag when you sign up for classes. Put it on your key chain and present it every time you come for class to check in with us (even if you've signed up online, we need to know you're actually here!). Your keytag helps us quickly locate your account and not stall your dancing at our desk. If you lose your keytag, a new one will cost you $5. Observing classes from outside of the studios is limited to 10 minutes. We want all dancers to feel comfortable while learning in our studios and too many spectators can be distracting. Cell phones off please! You turn them off while watching a movie, so let's block out distractions while we are learning. No filming unless the teacher and fellow classmates approve. We aim to preserve the traditional teacher/student relationship and learning environment. You are coming to class to learn, not perform in a music video (although that would be cool too!). Also, like the writings of your favourite author, the choreography of your favourite teachers is intellectual property that belongs to them. Distribution or sharing of the material requires permission. If you do film because you rocked the routine and have to share with your friends, please limit to the last 5 min of class. 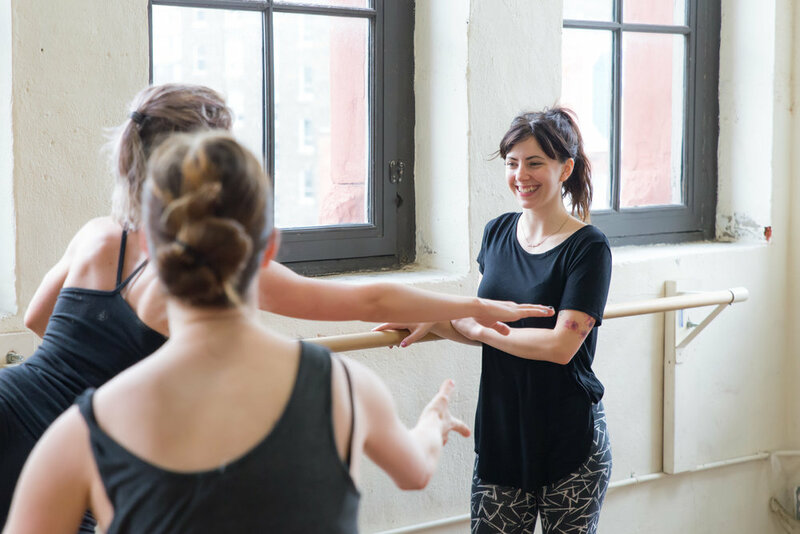 Did you know the first 15 min of a dance class is the most important time? It allows you to shift your focus from your hectic day and warm up your body and mind for an optimal learning experience. We don't let latecomers into class 15 min after the class has started. Please don't take it out on our staff if you are late to class. 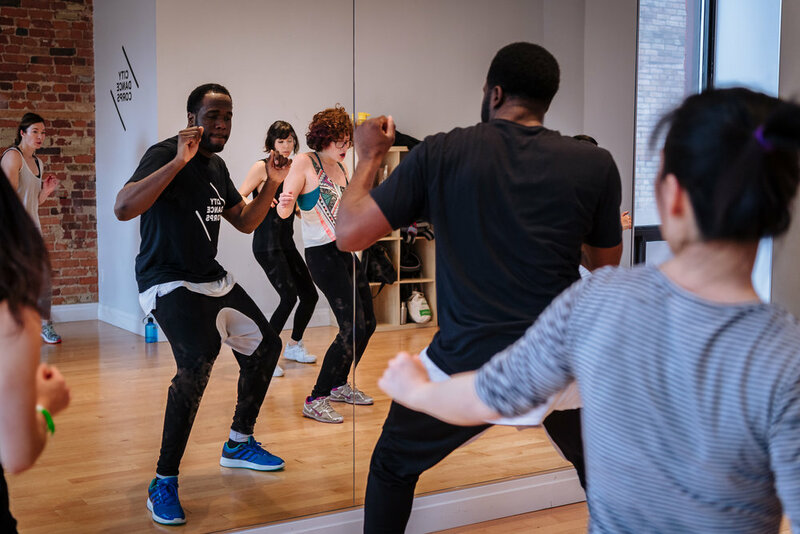 Your dance practice demands hustle so hustle in on time! If you are renting a studio, please cancel at least 24 hours in advance. You will be charged the full amount if you don't cancel on time. If you have booked a private lesson, please cancel at least 24 hours in advance. You will be charged the full amount if you don't cancel on time. If you sign up for a class online through the web or app, and then don't show up or forget to cancel 2 hours before the class starts, you will be charged for the class. If you are an unlimited membership, you will be charged $15. If you are on a class pass, you will be deducted that one class. We require a minimum of 4 students to run a class. In the case we don't reach our minimum, the class may be cancelled and you will be offered a full refund or a credit to be used towards future classes and services. City Dance Corps respects your privacy and pledges to maintain the confidentiality of your personal information. All personal information you share with us in maintained in accordance with the Personal Information Protection and Electronic Documents Act (2000). References to City Dance Corps may include its affiliates, depending on the context. For students enrolled in the City Dance Corps Youth Program, City Dance Corps may request information from third parties including parents, guardians or whoever registers you in a program. City Dance Corps website used sophisticated security and safeguard measures to protect users' information. One such measure is our use of secure server software (SSL), to ensure that your credit card will be protected against fraudulent use while on our site. City Dance Corps will never sell, trade, rent, exchange or otherwise share your personal information with any other person, company or organization. The student agrees to abide by the rules and regulations of the studio and acknowledges that these rules and regulations may change from time to time. Furthermore, all students release City Dance Corps, its owners, directors, managers and all employees of all liability regarding any injury to self or child and/or any loss or damage to personal property. Students participating in our adult classes must be a minimum of 18 years of age. We do make exceptions strictly for students 16 or 17 years of age with a written consent form from a parent or guardian. City Dance Corps does not guarantee that you will fall head over heels in love with your dance class, even though we do our best to make you happy. City Dance Corps will suggest other classes that fit your needs if you are not satisfied with the results. To register or purchase from the City Dance Corps online booking system, you must be 18 years of age or over. Students must ensure that the details provided on registration or at any time are correct and complete. VISA, MASTERCARD, and DEBIT/VISA are the only online methods of payment. You can pay in Visa, Mastercard, Debit or Cash in person. No guarantee is given of the accuracy of completeness of information on these pages. 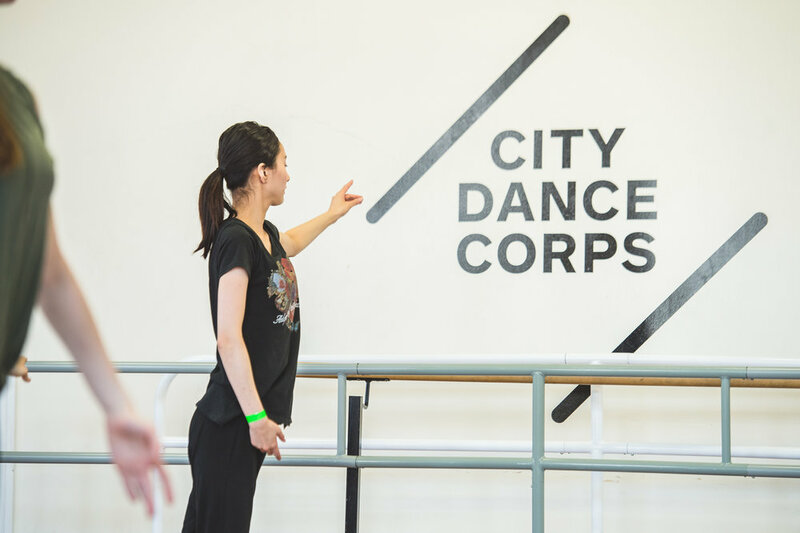 City Dance Corps may alter the information on its website from time to time.